Two of the world's deadliest Islamic terrorist organizations, Boko Haram and the Fulani herdsmen, have run amuck in Nigeria while the world's attention is elsewhere. In this article, I discuss (1) the devastating impact of Islamic terrorism on the Nigerian people, and especially on Christians; and (2) what you can do to advance practical solutions to the plague of Islamic extremism. Nigeria is currently under siege by two of the deadliest Islamic terrorist groups in the world. Yet, Nigeria has gotten little media attention due to a focus on Iraq and Syria. Even worst, the church in America is silent while tens of thousands of Christians are mercilessly slaughtered by Islamic terrorists. There is a well-documented fact about Islamic terrorism that often goes unreported by the news media. While headlines focus on the Middle East, the West African jihadist group Boko Haram has wreaked havoc on Nigeria and neighboring countries. What is especially disturbing is the fact that, according to the 2015 Global Terrorism Index , in 2014 Boko Haram surpassed ISIS in killings for the year to become the deadliest terrorist group in the world. Subsequently, the Islamic militant group has continued its terrorist attacks with chilling results. For instance, between January 3 and January 7, 2015, Boko Haram massacred an estimated 2,000 people in a town in northeast Nigeria; making it the deadliest terrorist attack since the September 11 attack on America. Then, in March 2015, Boko Haram formally pledged allegiance to ISIS forming an inseparable link between the two Islamic terrorist groups. Later, in August 2016, their new leader, Abu Masab Al-Barnawi, vowed that his Boko Haram fighters would kill all the Christians and blow up every church they are able to reach. We must remain cognizant of the fact that Boko Haram is not merely a regional terrorist organization. In March 2017, Nigeria's Department of State Security (DSS) and Nigerian security forces arrested six Boko Haram members in a failed attempt to attack the U.S. Embassy in Abuja, Nigeria. An attack on our Embassy is an attack on America. Additionally, we must be mindful of the fact that in 2011, Boko Haram successfully carried out an attack on the U.N. headquarters, killing at least 21 people. 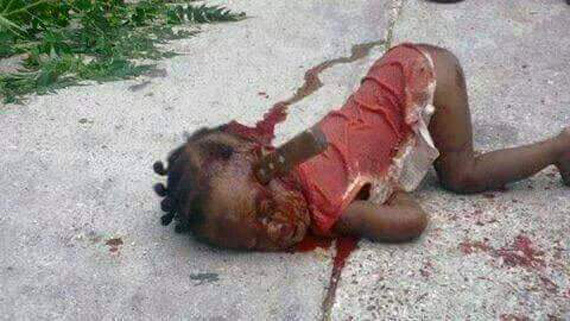 It is not an understatement to say that Boko Haram has created a humanitarian crisis of epidemic proportions. Since Boko Haram launched their armed insurgency against the Nigerian government in 2009, they have killed tens of thousands and have driven millions from their homes. In addition, the insurgency has decimated much of northeast Nigeria, spread to neighboring countries, and has caused a hunger crisis. Over 7 million people are now facing critical food deficits in northeastern Nigeria and neighboring Cameroon, Chad, and Niger. Finally, to make matters even worst, at least 5,000 victims of Boko Haram living in Internally Displaced People (IDPs) camps are infected with HIV/AIDS. An increasingly vicious group of militants is on the rise in Nigeria. These Islamic militants, Fulani herdsmen, pose an even greater threat to the Nigerian people than does Boko Haram. So now, Nigeria has the dubious distinction of being home to two of the world's deadliest Islamic terrorist groups. With the aid of multinational counterinsurgency operations, the government has successfully waged a war against Boko Haram. On the other hand, when Fulani herdsmen attack, the government, military, and security agencies all look the other way. Government inaction has left the citizens with no protection against the murderous rampages of Fulani herdsmen. So, who are the Fulani herdsmen? The Fulani are a primarily Muslim ethnic group of people. Nomadic herdsmen run roughshod over everyone in their path as though they are above the law. 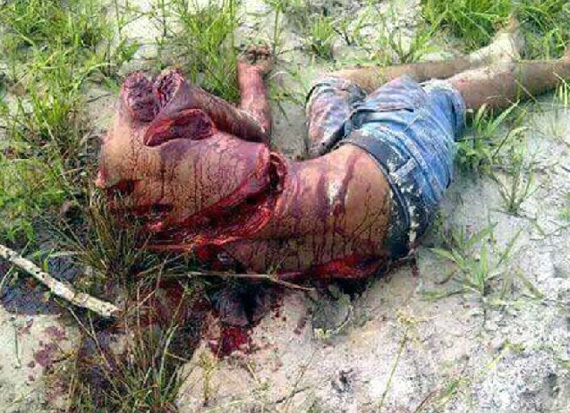 But worst of all, the Fulani herdsmen are barbaric and sadistic jihadists that kill and maim with impunity. 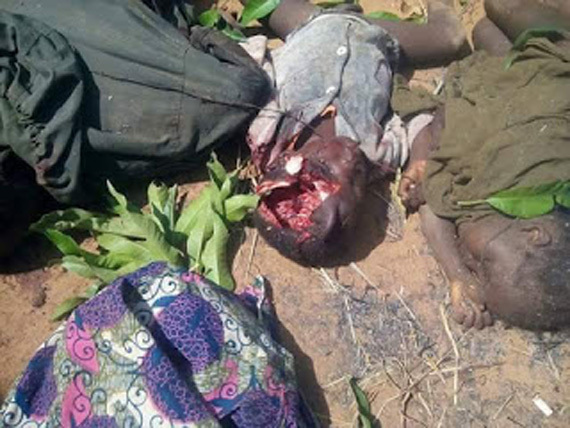 Warning: Pictures of the aftermath of Fulani herdsmen attacks are gruesome, to say the least. The reader is advised to use discretion before viewing. 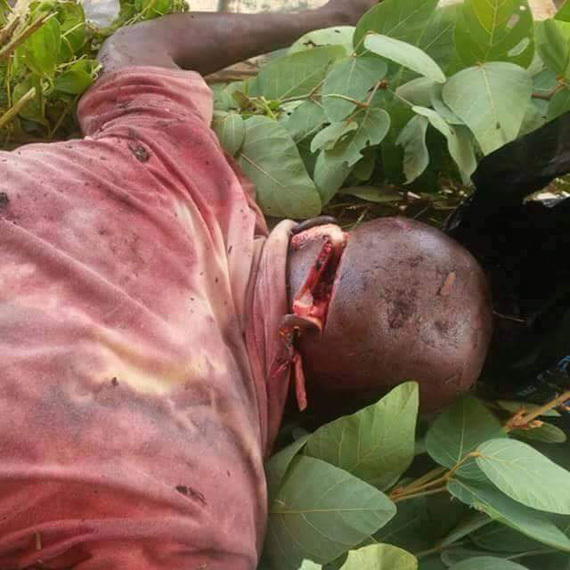 Click to show/hide graphic pictures of the aftermath of Fulani herdsmen attacks. Just in the last few months of 2016, Fulani herdsmen armed with cutlasses and AK-47 rifles killed over 800 Christians and moderate Muslims, as well as destroyed at least 16 churches. To date, they have killed hundreds and displaced hundreds of thousands from their homes. Fulani herdsmen (also called Fulani militia) typically invade farmlands, destroy crops and move in with their cattle. Farms have become no-go areas, as Christian farmers are killed on their farms on a weekly basis, if not on a daily basis. 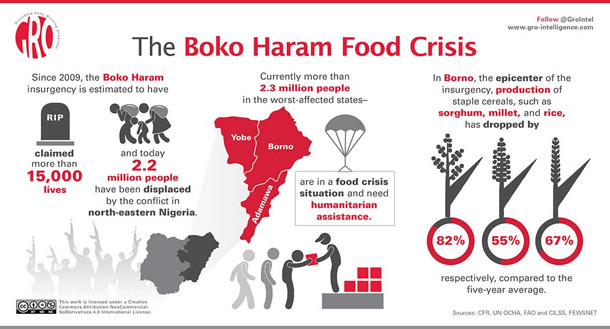 This only intensifies the emerging hunger crisis caused by the Boko Haram insurgency. They attack and burn villages, kill the villagers, and occupy their land. In addition, they do not only invade farmlands and villages, but they have even overrun the four campuses of the University of Uyo with their cattle. Is history repeating itself? In the 1800s, Fulani immigrants (a.k.a. “Town Fulani”) joined the “Cattle” or “Bush Fulani” to wage a jihad against “imperfect” Muslims. Now let's connect the dots. 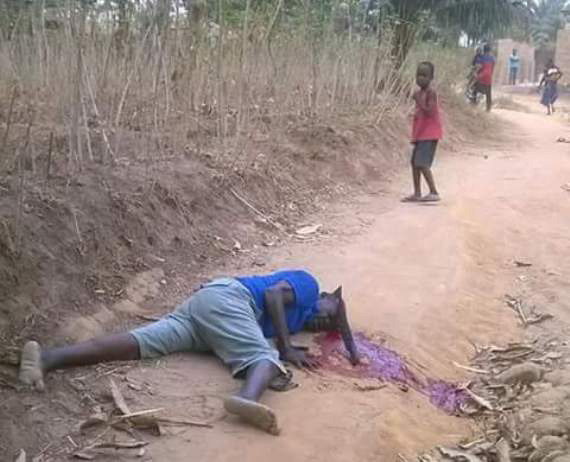 Today, the Nigerian President, Muhammadu Buhari, who is himself a Fulani, does nothing while Fulani herdsmen wage jihad on Christian and “imperfect” Muslim communities. 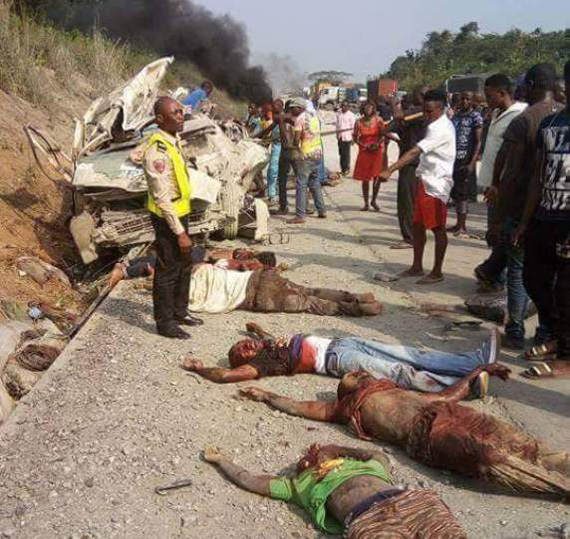 Has the President (the ultimate “Town Fulani”) silently joined with the “Cattle” herdsmen in this most unholy war? The reader can draw his/her own conclusion. However, there seems to be a conspiracy of silence and complacency on the part of the government and security agencies. Unlike Boko Haram, the Fulani herdsmen express no political agenda. Yet, one simple, undeniable fact cannot be overlooked. That is, the Fulani are Muslim and the landowners they attack belong to other ethnic groups that are mainly Christian, giving the conflict all the overtones an ethno-religious cleansing. Galatians 6:10 says, “as we have the opportunity, let us do good to all people, especially to those who belong to the family of believers.” Our Nigerian “family” needs us now more than ever. Pray. That is, we must continually pray for all the saints as Ephesians 6:18 instructs to do. Advocate for persecuted Christians. We ought to take every opportunity to advocate for the Nigerian saints. For example, consider advocating in the following ways. Add your voice to the Christian Solidarity Worldwide (CSW) “Stand with Nigeria” campaign. The campaign asks that you send an email to the Governor of Kaduna State, Nigeria that asks him to protect people being attacked by Fulani militia. Sign the Open Doors petition to President Trump to appoint an Ambassador-at-Large for International Religious Freedom . Donate your time, talent, and financial resources, as you are able, to organizations that support suffering Christians. For instance, consider donating to the following projects.